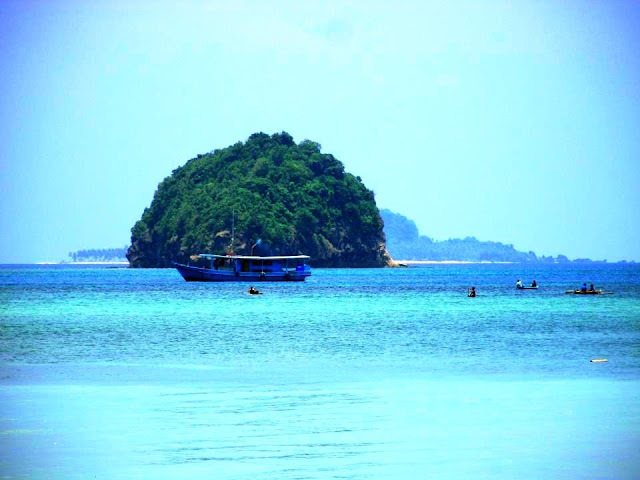 It's quite ironic that many people sometimes neglect to see the treasures that are right in their doorsteps. The usual excuse is, "they're just there and they aren't going away anyway." I sometimes have that problem; I've been inside some of the great museums abroad, but I haven't been to the one just a few miles from where I live. I did try to rectify that last weekend, when I went out of my usual weekend routine of going to the gym and then to the mall. 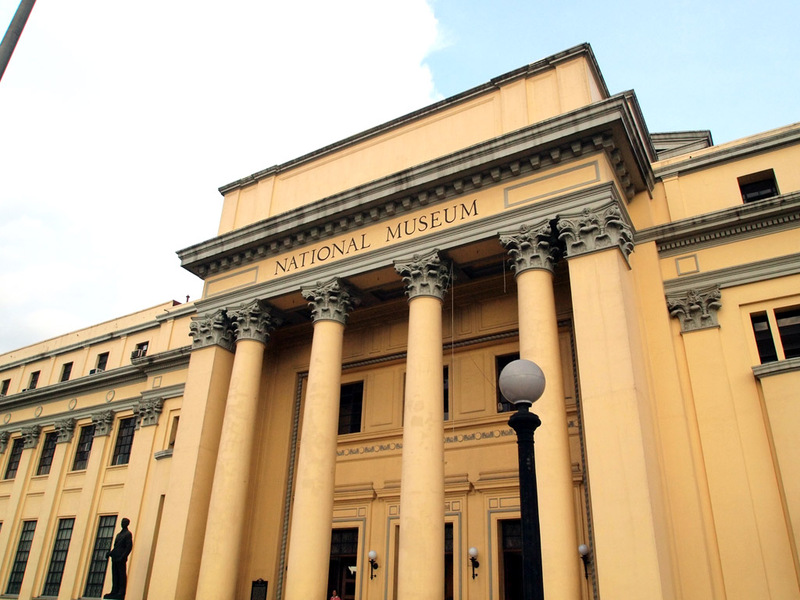 I went to see the National Museum of the Philippines in Manila instead. 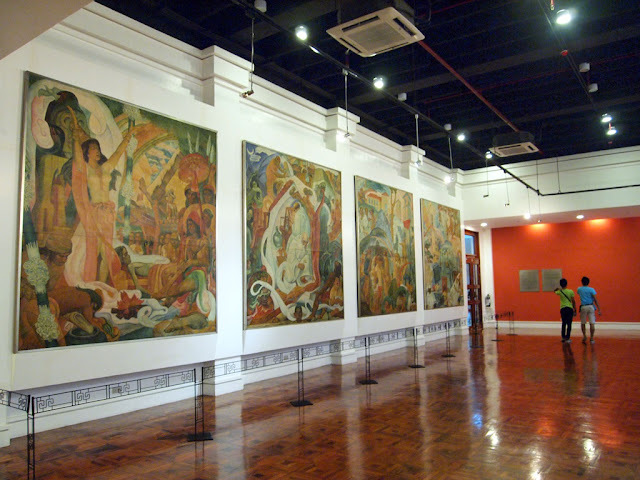 Known in Filipino as the Pambansang Museo ng Pilipinas, the museum is the official repository of historical and cultural treasures of the Philippines. The museum is composed of several institutions, including the National Planetarium and the Museum of the Filipino People. It also has several branches around the country, the Fort Pilar Museum in Zamboanga City being one example. The main repository is housed in the National Art Gallery, which I visited on Sunday. 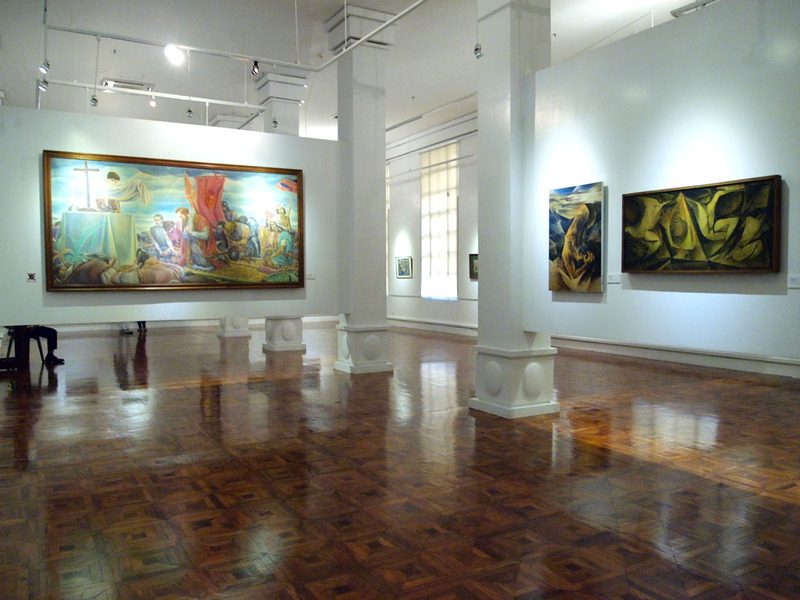 The National Art Gallery is located in the Old Congress Building, just next to Rizal Park in Manila. 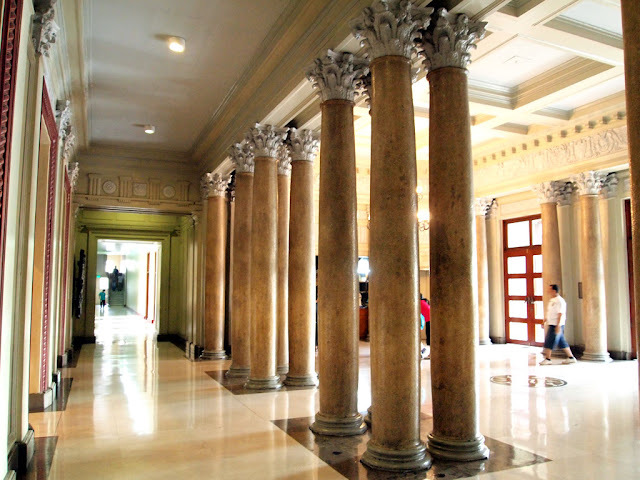 The neo-classical building was built in 1918, originally intended to be the National Library, but later used by the Philippine legislature. It was part of the grand plan drawn up for Manila by Daniel Burnham, the architect who designed the Flatiron Building in New York and the Union Station in Washington D.C. 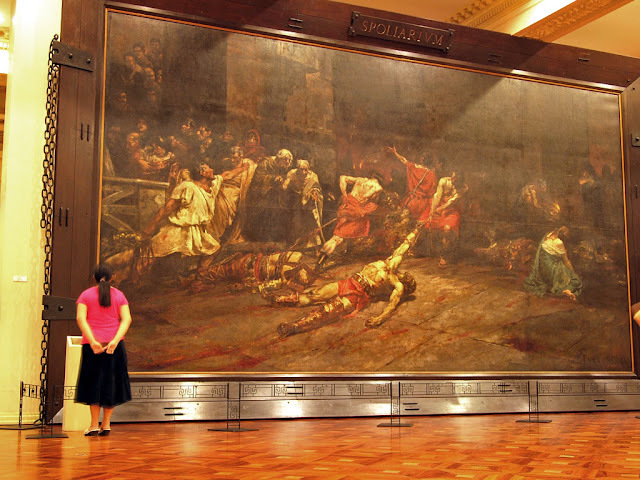 The main reason why I wanted to visit the museum is the painting called Spoliarium (first photo above), but I think I got more than what I came to see. 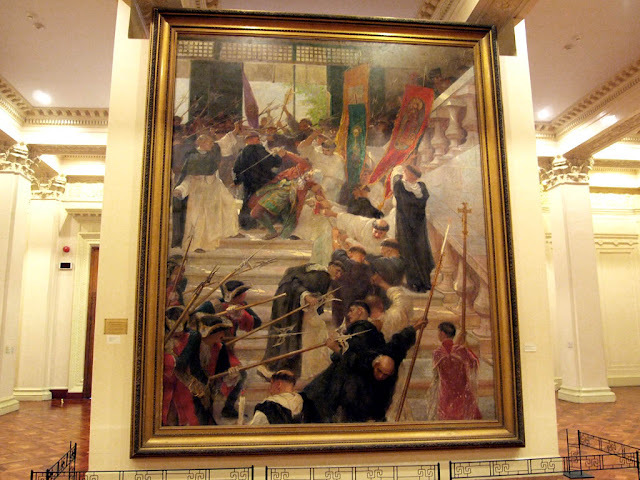 The painting, which is the first artwork that visitors will see upne entering the main gallery of the museum, was done by Juan Luna, a Filipino artist and political activitist during the 19th century colonial Philippines. In 1884 he entered the painting in the Exposicion National de Bellas Artes in Madrid, Spain, which won a gold medal. 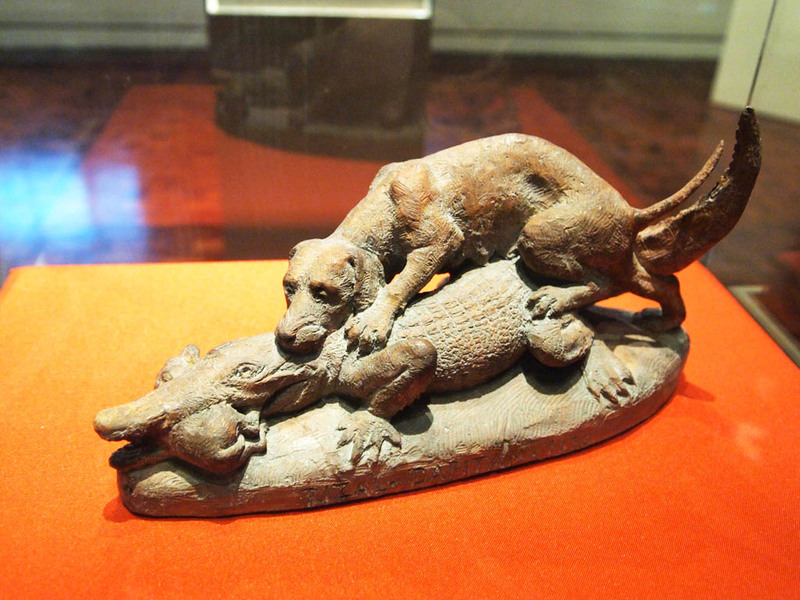 That event was hailed as a milestone in Philippine art, which showed that the colonized proved to be better than the colonizers. Spoliarium is the Latin term for the basement in the Colosseum where they dump the dead and dying gladiators. 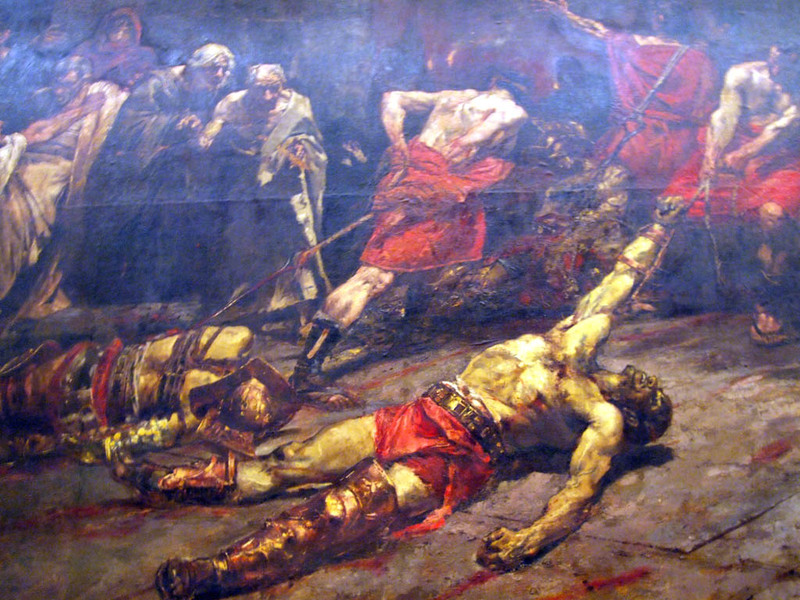 The painting, 4 meters by 7 meters in size, depicts dead gladiators being dragged by Roman soldiers. On the left are the spectators, blood-thirsty and charged with the prospects of stripping the dead bodies of valuables. That scene is contrasted with the somber reaction shown by the weeping woman and a man carrying a torch on the right. Only one other painting is displayed together with the Spoliarium in the Hall of Masters. The other one is called La Tragedia de Gobernador Bustamante (The Assassination of Governor Bustamante and his Son), by Felix Ressureccion Hidalgo. 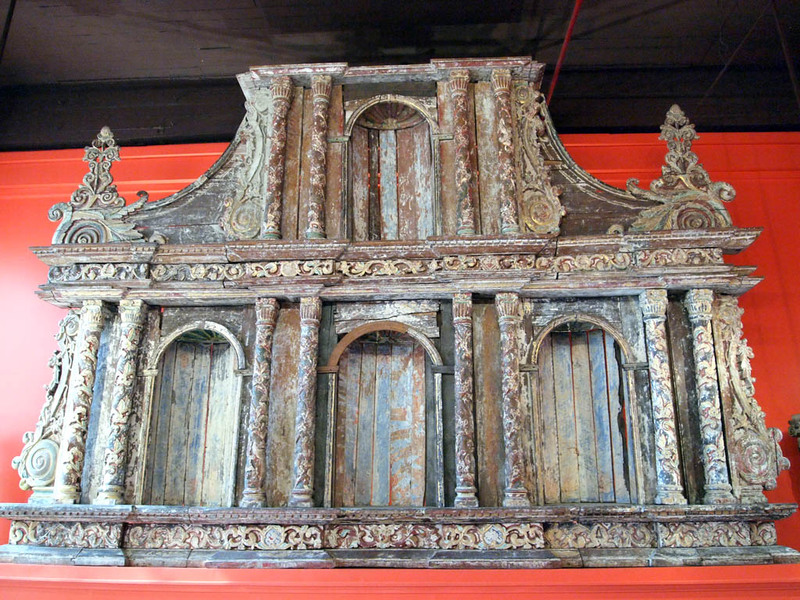 Gallery I displays 17th to 19th century colonial Philippine religious art, mostly carved religious images (santos), reliefs and paintings. The highlight here is the retablo of the Church of San Nicolas de Tolentino. Gallery II shows the the Basi revolt series by Esteban Villanueva. The fourteen paintings , dating back to 1821, were the first paintings that depict the uprising caused by alcoholic beverage. Gallery III features art during the academic and romantic period in the 19th century, including works by by Juan Luna, Felix Resurreccion Hidalgo, Gaston O'Farrell, Felix Martinez and Lorenzo Guerrero. 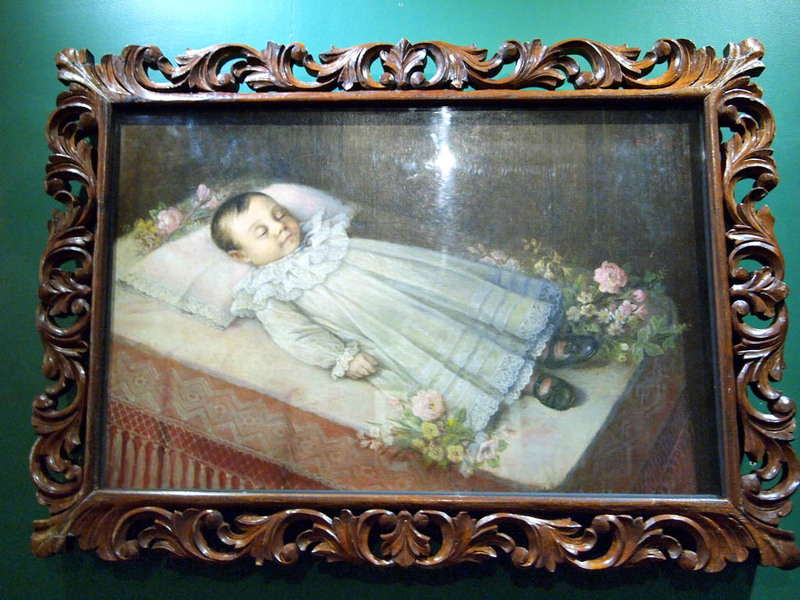 The painting of a dead child by Simon Flores creeped the hell out of me. 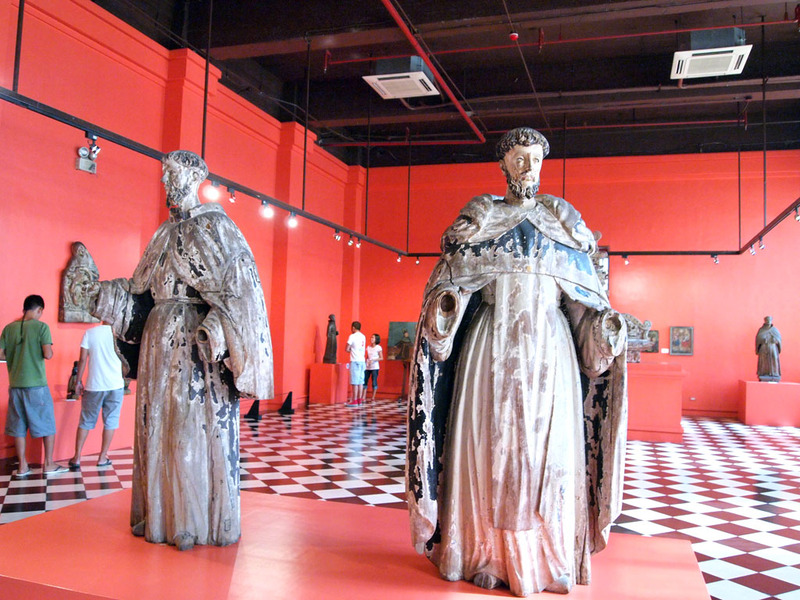 On Gallery IV are the nineteenth century sculptures of artists such as Guillermo Tolentino, Isabelo Tampinco and Graciano Nepomuceno. On Gallery V are works on and by the national hero Jose Rizal. One is the sculpture called Mother's Revenge, a not-so-subtle dig on Spain's colonialism. The advent of modernism during the late Spanish colonial period, up to the American occupation but before the second world war is featured on Gallery VI, with works by Jorge Pineda, Fernando Amorsolo, and Pablo Amorsolo, et al. The art featured on Gallery VIII needed a warning for graphic violence, as they depict mostly the atrocities that occurred during the occupation of the Philippines by the Japanese Imperial army, the Liberation and the destruction of Manila during the war. The works of modernists and national artists, from 1930s to up to the late 20th century were in Gallery IX. Notable names include Carlos "Botong" Francisco, Ang Kiukok, Vicente Manansala, Victorio Edades, and Ben Cabrera. The sole exhibit on Gallery X is the four-panel painting called Progress of Medicine in the Philippines by Botong Francisco, which was commissioned by the Philippine General Hospital in 1953. 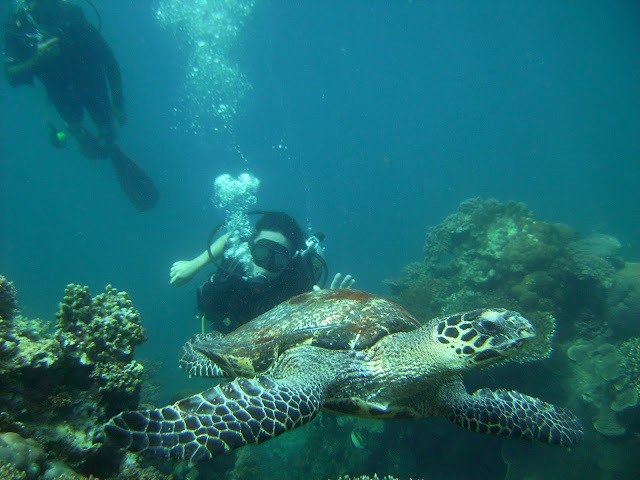 It was on indefinite loan from University of the Philippines. As I mentioned, I came mostly just to see the Spoliarium, but I left with much more , having gained greater appreciation of the sophistication and diversity of Philippine arts and culture. This museum is a must for every Filipino and foreign visitors alike. The National Museum National Art Gallery is located at the Old Congress Building in P. Burgos St., Manila. It is adjacent to Rizal Park. If taking the Light Rail Transit Yellow Line, get off at UN Avenue Station and walk along Taft Avenue to the direction of Rizal Park until you reach Finance Road, then finally to P. Burgos Street. The museum is open from Tuesday to Sunday, 10 am to 5pm. Entrance fees: PhP150 for adults, PhP50 for students. Free on Sundays. Cameras are allowed, but flash is prohibited. we are a tourr operator and we are interested to book in national museum kindly send us your contact details so that we can send you our inquiry. 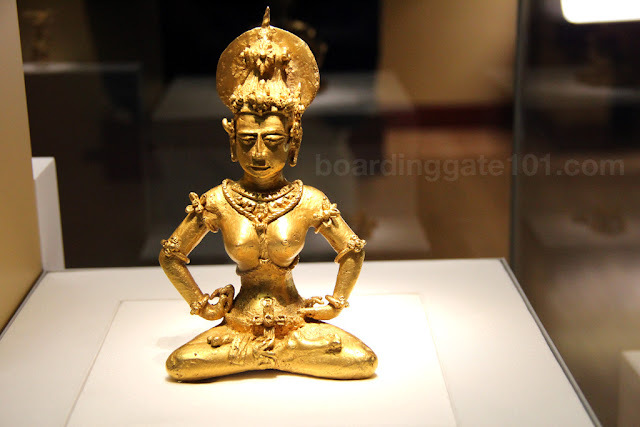 I think that allowing photography at the National Museum is a welcome change indeed. I remember that a few years back, I brazenly asked a complete stranger for a souvenir photo with the Spoliarium. Aside from that, there are also more galleries now and more interesting items on display (such as Rizal's Mother's Revenge). I could only wish that there was an audio guide/DIY pamphlet available, especially for the students who took a lot of photos using their iPads and digital cameras. Have you been to the new Baybayin Gallery?